Most of the Aquaponic pioneers suggest starting small and learning the system through trial and error experiences. Here in Galion we have a cold winter season so if you are contemplating an outdoor system you need to consider sheltering your set-up. The first two plans for hoophouses listed below are step-by-step excellent instructions including materials lists. The third listing is Bobby's (mhpgardener on YouTube), solo construction and commentary. Bobby is just starting an Aquaponics experiment, his attention to detail and his willingness to share his thoughts and accomplishments will benefit us all. His videos are entertaining, interesting and informative about classic gardening outside, hydroponics in a greenhouse, his Dutch bucket system, and much, much more. Check out his many videos and his radio show on Prepper's Network. DIY - Building a Greenhouse * monkeyseevideos * 3:24 mins. Excellent Step-by-Step instructions on building a PVC framed Greenhouse. The website provides both a downloadable materials list and diagram. Texas Prepper's Greenhouse *texasprepper2 * 11:02 mins. $150.00 Lots of good suggestions. Has PDF materials list available. Greenhouse Portable * 18:18 mins. Aquaponic Greenhouse * DigitalFoodDesert * 5:51 mins. Aquaponic greenhouse 12ft deep x 8ft wide x 8ft high constructed of wood, cow fence wire and 6 mil plastic film. Note: Solar powered and side walls. Installing a Second Layer of Greenhouse Plastic * 10:16 mins. Bobby saids, "It was time to install a second layer of plastic on my first greenhouse, along with the inflation blower. I was a little short on help, but still managed to get the job done. After a few nights now, I'm convinced that a second layer really does make a huge difference." Aquaponics, Simple Climate Control in Poly Tunnel * 2:56 mins. Following last years success with my DIY hydroponics set-up I've decided to scale up my endeavours and try my hand at Aquaponics. In this video I explain how I control the climate within the poly tunnel using a simple door vent. 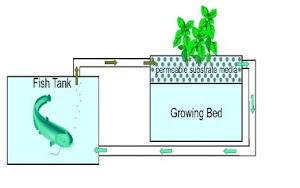 HD Aquaponics Greenhouse * Edward Pozek * 8:57 mins. Sneak preview of his nearly finished Aquaponic Hoophouse. His website. Greenhouse heat = Aquaponics with rocket mass heater * 4:53 mins.